HBO drama misses a trick with James Jagger's recording debut. The Vinyl countdown Ritichie Finestra and his wife, smiling for a change. 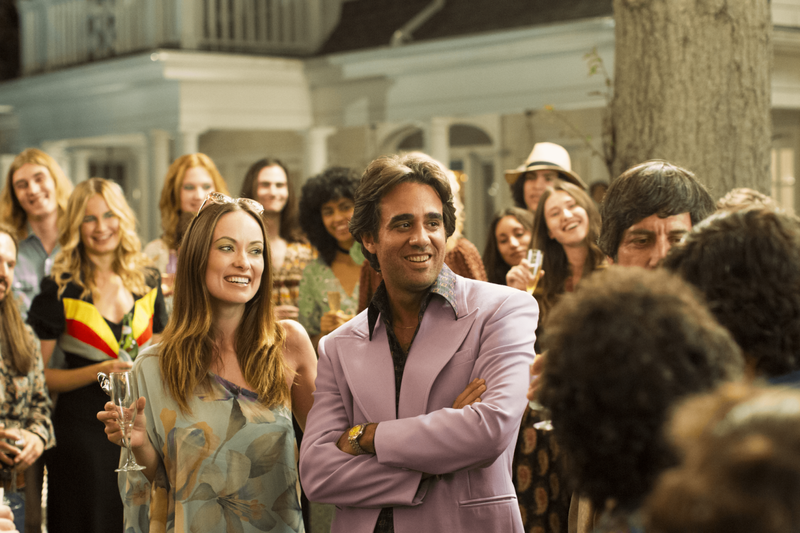 HBO’s new show Vinyl has announced details of its soundtrack album. But the album will only be released digitally, with no vinyl edition available. Shown on Sky Atlantic in the UK last night, Vinyl stars Bobby Cannavale as weary drugged-up record company boss Ritchie Finestra. Produced by Mick Jagger and Martin Scorsese, it’s set in New York in 1973. The soundtrack features vintage songs by Otis Redding, Mott The Hoople, Foghat, Edgar Winter and The Meters. It also features a song, Rotten Apple, by Vinyl actor James Jagger’s fictional band Nasty Bits from the series. It marks the recording debut of Mick Jagger’s son. New York Dolls feature prominently in the series, and their singer David Johansen has re-recorded two of the band’s songs – Personality Crisis and Stranded In The Jungle – for the soundtrack. New artists on the soundtrack include Kaleo and Sturgill Simpson, who sings Vinyl’s theme Sugar Daddy. Vintage Trouble singer Ty Taylor offers two songs as the show’s bluesman Lester Grimes. As well as the main soundtrack album, out this week, there will be a weekly soundtrack EP for each of Vinyl’s 10 episodes. These will feature songs by current artists including Julian Casablancas, Charli XCX, Royal Blood, Jess Glynne, Black Keys spin-off The Arcs, Jessie J and Fun singer Nate Ruess. Some of those will be brand new tracks. The full tracklising for the main soundtrack is below.